Facebook executive and author Sheryl Sandberg used her personal facebook account today to speak out about the pain of losing her young husband last month and to thank friends and fans for their support in the aftermath. In a poignant 1,700-word post, Ms. Sandberg also took the opportunity to provide a virtual checklist of lessons about the grief process. * People say hurtful things to new widows, even when they mean well. 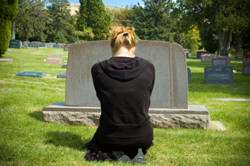 She recommends a simple “How are you today?” when inquiring about the well-being of a grieving person. o give back some of what others have given to me. While the experience of grief is profoundly personal, the bravery of those who have shared their own experiences has helped pull me through.